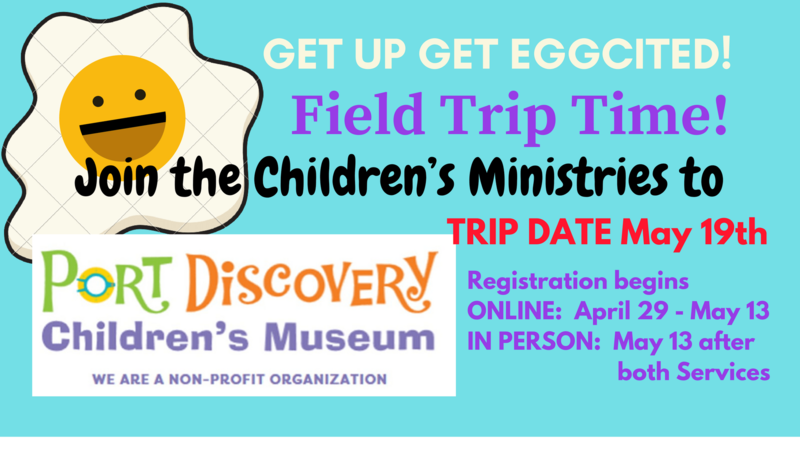 Join us as we visit Port Discovery Children’s Museum on Saturday, May 19th. The cost is $13 and includes admission and lunch. We will leave the church promptly at 9am and will return at 3:30pm. You may register your child and obtain the necessary permission slip today through Sunday, May 13th online, or in-person after each service.